It is always dismaying when non-Indigenous people feel compelled to publicly voice their opinion on Indigenous issues without taking the very basic step of talking to Indigenous peoples, writes National Congress of Australia's First Peoples CEO Gary Oliver. Gary Oliver, CEO of the National Congress of Australia’s First Peoples, responds to Guy Rundle’s article from June 14, “Rundle: the Voice to Parliament sounds like a very bad deal“. In 240 years of colonisation, we have been subjected to dispossession, cultural destruction, massacres, stolen land, stolen wages, Stolen Generations and paternalistic government policies. As a result, we face significant barriers to equal participation in the economic, social, political and cultural life of this country. 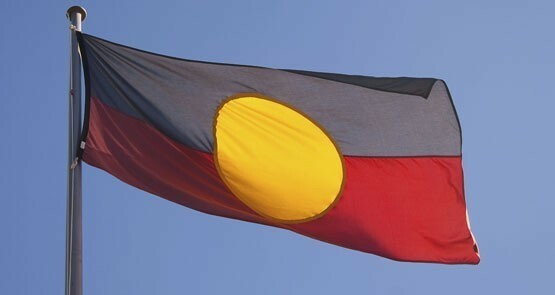 While we have never ceded sovereignty and some among us do not recognise the Australian constitution, most Aboriginal and Torres Strait Islander people are realistic enough — and, it must be said, generous enough — to want to share this fine land and its many fine institutions with everyone here today. Despite our treatment over the past 240 years, most of us have no desire for an “us” and “them” scenario. But we also want our histories, cultures, languages and rights to be known, understood and honoured. We want to be recognised as the First Australians. We want all Australians to take pride in our nation’s heritage as home to the oldest continuous culture known to humankind. We want to see the United Nations Declaration on the Rights of Indigenous People implemented in Australia. We want the right to self-determination, control over our lives and the power to determine our own future. How does this square with the request for a Voice to Parliament? Let there be no mistake – we do not propose ceding our right to sovereignty but we do not regard recognition, treaties or a Voice as antithetical to our claims of sovereignty. If anything, they are real political steps on the path to recognition of our sovereignty. The 2009 report Our Future in Our Hands, sponsored by the Australian Human Rights Commission, demonstrates how the Commonwealth has used Aboriginal and Torres Strait Islander national representative bodies as political footballs since the first one was established over 40 years ago. Interference and start-stop funding have been incessant, which is why we now want our voice enshrined in the Constitution. The current national representative body, The National Congress of Australia’s First Peoples, was established in 2010, and has grown steadily to now comprise over 9000 individual members and over 180 member organisations. It currently fulfills a number of functions as our Voice in spite of being defunded in 2013. With adequate status and resources it is ready to take on the role. Formal representation of our interests is not a blank cheque. The proposal for a Voice to Parliament was carefully considered. We know better than anyone how little power we have with only 3% of the population while also facing extreme social challenges, prejudice and systemic racism. Our history tells us how much — or more accurately, how little — power is likely to be ceded. We are realistic enough to know that to have any hope of referendum success that real power must continue to reside with parliament as it now functions. A voice presents no challenge to the status quo in this regard. How would it work? You may know that before national legislation is passed, it must first be vetted by the Human Rights Committee for compliance with Australia’s obligations according to international conventions and treaties to which we are signatories. The parliament can choose to pass the legislation whether or not there is a breach. We envisage a similar process for our Voice. Our Voice will also develop and propose policies and programs to address the challenges we face, based on appropriate cultural knowledge and experience. We would also evaluate policies and programs for their impact and effectiveness, as well as participate in CoAG meetings about issues impacting us. It has been proven, time and time again and the world over, that the most effective Indigenous policies are those designed by Indigenous peoples themselves. Throughout my lifetime, I have watched law after law made for Aboriginal and Torres Strait Islander people by non-Indigenous people who do not have the appropriate cultural knowledge and skills to create meaningful change. I am saddened but never surprised when these laws fail to achieve their stated ends. It is extremely frustrating to know that Aboriginal and Torres Strait Islander peoples have the solutions but, as it stands, our voice is not heard by politicians. 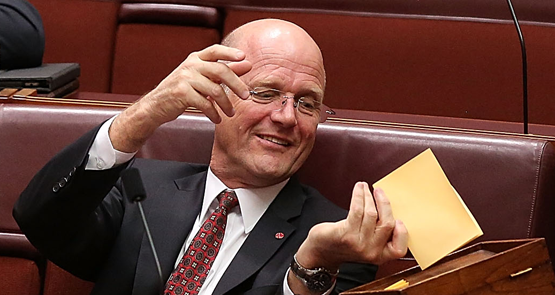 A constitutionally enshrined Voice to Parliament, at the very least, gives us a better chance of having a say on laws and policies which impact us. I am always dismayed when non-Indigenous people feel compelled to publicly voice their opinion on our issues without taking the very basic step of talking to Aboriginal and Torres Strait Islander people. 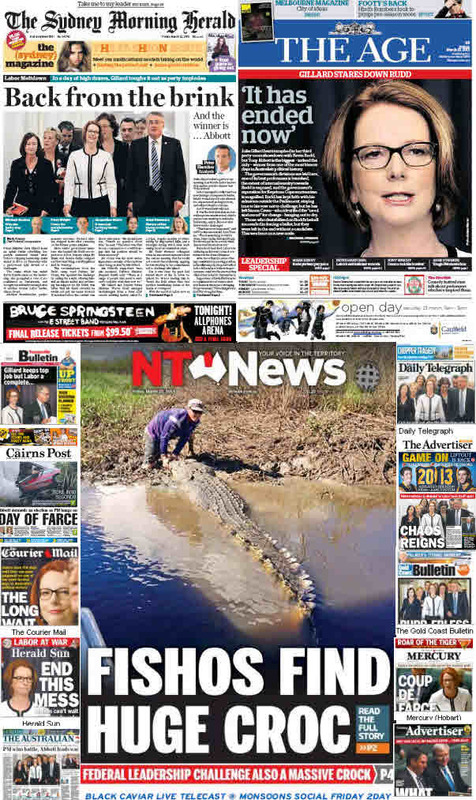 There are so many capable and articulate Aboriginal and Torres Strait Islander politicians, authors, administrators, advocates and academics who could advise based on first-hand knowledge and experience of the topic under consideration. I conclude by an appeal to all non-Indigenous people. We are brothers and sisters in this fine country. Aboriginal and Torres Strait Islander peoples have been playing political ball for long enough to know what we need to move forward. We want a future where First Peoples have our voices heard. A future where we have a say in policy that affects us. A future where we can stand alongside other Australians with equality, freedom, self-determination and empowerment. We ask you to support our request for a constitutionally enshrined Voice to Parliament. By doing so, you will be directly contributing to this future. We have turned a corner on indigenous politics, writes former indigenous affairs adviser to the Rudd government Rita Markwell. Constitutional recognition of Aboriginal people should not be taken as a sine qua non on the path to equality. Australian politics has come to a pretty pass when a politician is ridiculed for having told the truth. Kevin Rudd and Simon Crean, each in his own way, has suffered from this strange phenomenon since yesterday's challenge that wasn't. We all need a voice in parliament – it is called a vote in elections – of candidates presented to the people on election day. What was requested was a “voice to Parliament,” not a “voice in Parliament.” Our voice in Parliament is a myth. MPs, once elected, are seldom receptive to popular opinion unless it’s a massive reaction to something. Aboriginal and Islander people don’t have the clout for that. The “voice to Parliament” would present a case agreed in its assembly to government and other MPs for consideration. It would basically be a well-organised and legally established lobbying group. It’s not the title of the article but it’s the content of the article. Somebody very carelessly slipped up in the editing department I think. Yes Rais. There may be c 200 submissions finally;those who are settlers and descendants realise that it is really more up to the First Peoples to submit. Those who did so as settlers, or descendants of, expressed their solidarity, yet also felt trepidation. A dilemma. “We all know of instances of people identifying as Aboriginal in order to gain advantage.” Do we Stephen? Perhaps you do. Noting that you used the plural, could you name several such instances? Stephen, I don’t think you could have better made Gary’s point about people expressing their opinions on Aboriginal people “without taking the very basic step of talking to Aboriginal and Torres Strait Islander people”. Because if you spoke to a few Aboriginal and Torres Strait Islander people you would know that “what constitutes Aboriginality” is something that has been dealt with time and time again by the ATSI community. E.g. in order to access many ATSI community services, people must show some form of “confirmation of Aboriginality”. I work at one such service. Getting confirmation of Aboriginality can be a very difficult process (from what I have seen) and confirmation is not something that is given lightly by community. Are you telling me that you don’t have to have any Aboriginal ‘blood’ to be ‘confirmed of Aboriginality’?? If so, then presumably I don’t have to have any Irish, Scots, English, Norweigan or Italian ‘blood’; or more correctly genetics, to claim membership of those ethnic groups? nothing wrong with that – these days one can name their own gender – same concept . So any comments otherwise is both sexist and racist, – got to figure out the next trend and you are on a winner [ and if lucky on a government grant]. RoRo didn’t say that Jim and if you read the comment you would know that. There are people with Aboriginal heritage who don’t “look Aboriginal.” There is an MP in WA who has Aboriginal “blood” (ie ancestry) but doesn’t identify as Aboriginal. You can’t measure “blood” but if someone with Aboriginal heritage has always identified, and been identified, as Aboriginal their appearance need not be a factor. Rais, the portion of ‘Aboriginal’ or any identifiable group’s genes in your makeup IS measurable. I think Mendel worked this out some years ago. If you choose to ‘identify’ as Aboriginal without having an aboriginal ancestor….good luck….but I fail to see why that would happen. If you have an Aboriginal ancestor like your WA MP, and don’t identify as Aboriginal that would be similar to me who likes the Scots/Irish/Norwegian ancestry more than the Italian. Thanks for your reply. I was born in an Aboriginal community and grew up in the Northern Territory. I went to school with plenty of Aboriginal people. I reckon I have spoken to some Aboriginal people in my time, and I understand these arguments. I understand there is a process for establishing Aboriginality, but it is imperfect, and therefore is subject to manipulation and abuse. I also am aware of the fact that, as you can see from some of the comments here and elsewhere, that some people’s decision to identify as Aboriginal can sometimes create division and angst. Though it is a subject that is not usually discussed publicly, it is very much discussed privately in the Northern Territory. Some of the discussion is motivated by racism. But sometimes it is motivated by a sense of injustice that some people identify as being Aboriginal for political or economic gain – and this sentiment comes from Aboriginal people as well as from non-indigenous people. Generally this issue doesn’t greatly perturb me, because I know that although there will always be people who take advantage of the system, at least the system is in place to help to overcome disadvantage. But giving these same people the opportunity to access political power in a forum that is not accessible to the wider community – this is taking it to a new level, and I think goes too far. It risks going down the same path of so many political institutions – that rather than serving those for whom it was set up to serve, it ends up serving the powerful, and those who have managed to manipulate the system for their own advantage. How does DNA confer dis/advantage? Is this not the very definition of racism? It doesn’t take much to get people fighting – witness State of Origin when erstwhile team mates hammer each other due to the colour of the jumper. Identity politics is the antithesis of democracy.